1592C.38 Abigail 7, BIGELOW, dau of Daniel 6 ( Amasa 5 , Isaac 4, Isaac 3, Samuel 2, John1) and Emma (JOHNSTON) BIGELOW, was born at Pictou, NS on 18 May 1817. She married (1) John Tomlinson 26 December 1833 (div. ); (2) 26 December 1834 John Byrd who died 0l June 1863 Wasco co., OR; (3) J. C. Pierce on 23 July 1878 Yamhill co. John Byrd was born in Williamston co., TN in 1812 and died 0l June 1863 in Wasco co., OR. He is buried in City Cemetery, The Dalles, OR. 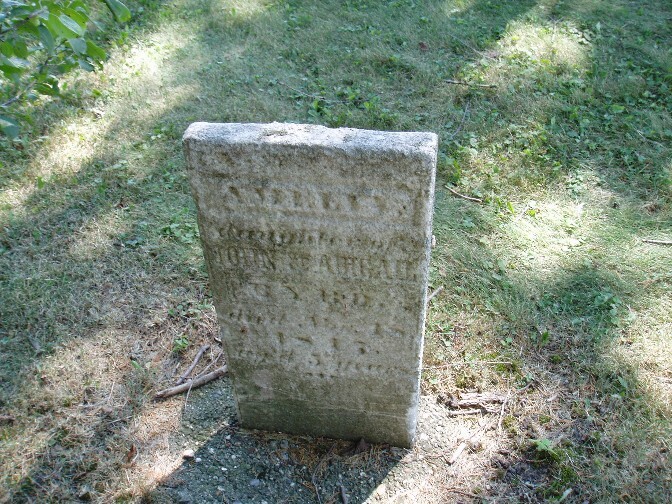 Abigail died on 21 November, 1896 and is buried in Maryhill Cemetery, Klickitat, WA. 1592C.381 Mary, b____ Nov 1835; d 23 March 1912 Shaniko, Wasco, OR; m 21 Dec 1854 Yamhill co., OR, James Bird. 1592C.382 Nancy, b___ 1836; d 09 March 1859; m 21 Aug 1855 Yamhill co., Phineas Bates; 2 children. 1592C.384 William, b 1840 WI; d after 1880; m 10 Dec 1873 Wasco co., OR, Harriet Armina Saltzman. 1592C.385 Frank, b 12 Sept 1844 WI; d 09 July 1888 Seaside, Clatsop, OR; m yes. 1592C.389 Elizabeth, b 15 April 1847 WI; d 13 March 1865 Seaside, OR; unm. 1592C.36A Jane, b 20 Nov 1850 WI; d after 1936 Stevenson, WA; m 20 Oct 1868 Yamhill co., Phillip Michell..